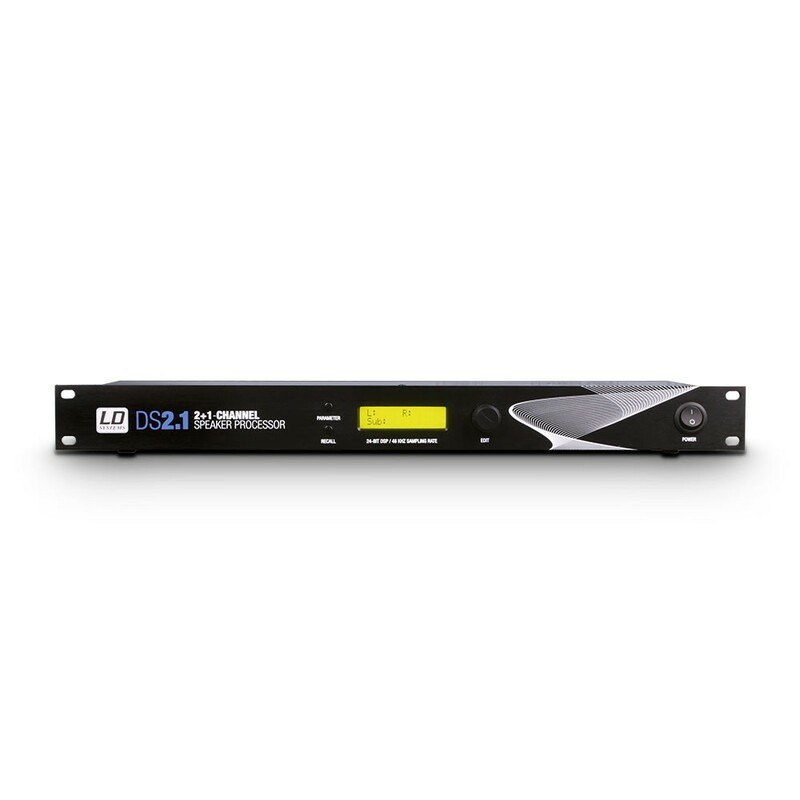 The LD DS2.1 is a universal 3-channel DSP controller for 2.1 loudspeaker systems with 24-bit processing and convenient front panel operation providing easy setup and high quality audio performance. Designed for live sound and fixed applications the rack mountable unit offers extensive parameter control of its EQ, crossover, delay and limiter functions. 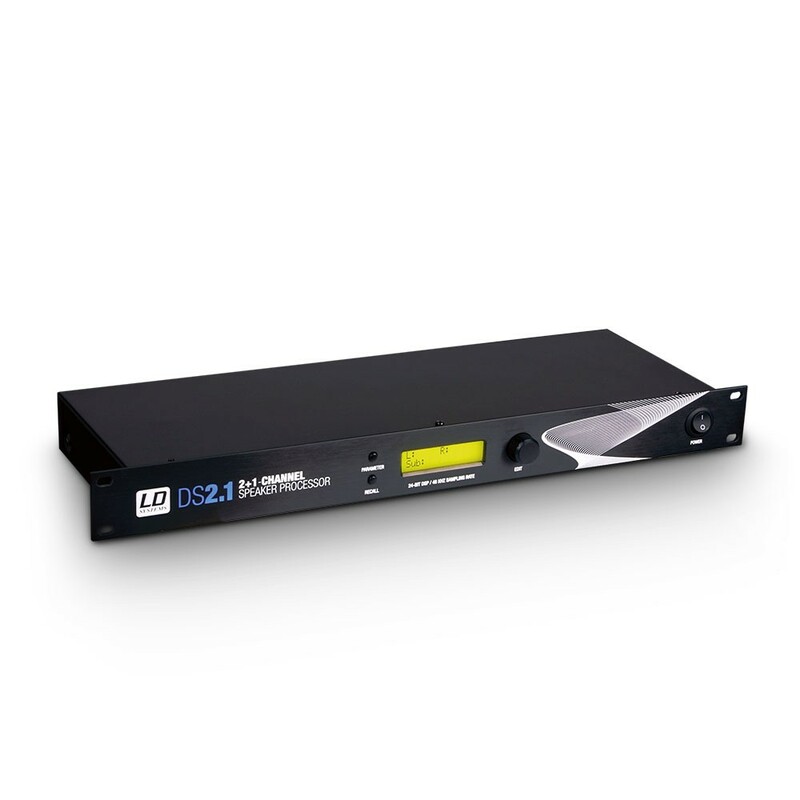 The LD DS2.1 features a 3-band parametric EQ with adjustable Q and high shelf / low shelf selection. The crossover includes Butterworth, Bessel and Linkwitz-Riley filters with 6 dB to 24 dB slopes. Delay time is adjustable to a maximum of 12.5 ms for each of the three outputs and the limiter provides independent threshold and hold time setting for the L / R and subwoofer channels. A backlit 2 x 16 LCD and jog wheel allow for quick parameter adjustment and recall of up to 6 presets. Also provides real time level meter. The rear panel features XLR connectors for left and right input, left and right plus sub XLR outputs and a USB port. Software and a power cord is included.